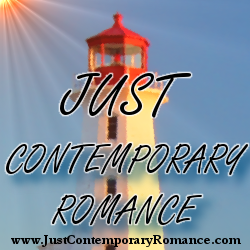 Just Contemporary Romance: How did you become a writer? How did you become a writer? What do you have to do to become a writer? Many new writers ask me about how I got into writing. I’ve been an aspiring author for many years and in the last two years my dream has finally come true. I’d like to give some advice to aspiring authors – all based on my personal experience. Tip #1: Don’t give up! Yeah, yeah, this is completely clichéd, I know. But, I almost gave up. I began writing my debut novel seven years ago while on maternity leave. Then mothering got in the way and I had to put it to the side. If it weren’t for my husband giving me a little push to finish the novel two years ago, I wouldn’t have. So, even if you have to put your writing to the side, don’t forget to get back to it once the inspiration hits again. Additionally, with writing comes REJECTIONS. It’s inevitable. In fact, I have a folder dedicated to my rejections (Yes, it’s that many). However, with rejections come improvements. Take a day to mourn and then move on. Tip #2: Do your research on publishers! I’m a dedicated Harlequin reader. Since I was a teenager, I had stacks of Harlequin category romance next to my bed. After receiving a rejection from them on my first novel, I was heartbroken. What we writers need to realize is that there are more than one romance publisher out there. Actually, there are many fabulous publishers – including small presses. Check them out on Duotrope.com or Google the different sites. You won’t be disappointed. Tip #3: Find untraditional ways to submit your work! I love this tip, because with one publisher and my agent, I did not take the traditional route – sending a query and partial through email, waiting months for the news. Crimson Romance contracted Breaking the Rules, through a Twitter pitch session called #PitMadness. Yep. I sold my book to the editor with a 140-line pitch. Two weeks later, I had a book deal! I also signed with my agent, Dawn Dowdle with Blue Ridge Literary Agency, in January this year thanks to a Twitter pitch party ̶ yep! #Pitchmas. So, again, find untraditional routes. It’s quicker, it’s fun and it’s great practice. Tip #5: Make your presence known! You want exposure and you want to find out all you can about the industry. Create an online presence. Facebook, Twitter, Goodreads, Pinterest are all great places to create your brand. You can also make lifelong author friends. Both my editors have told me that a writer’s online presence is important to them. They check writer’s out before signing them. If you need to create a blog, do it NOW! And if you want to follow me, find me on Twitter www.twitter.com/melindadozier. I hope these tips help you out. I’m by far an expert, but I am living and breathing a newbie author’s life at present. If someone can learn from me, then I’ll be satisfied. I hope you check out my novels, Breaking the Rules, available from Crimson Romance and Love and Other Games from Swoon Romance. Her next novel, One Lucky Night, will be available on May 7. Tha you for having me today! Excellent post, Melinda. I never gave up, and it took me fifteen long years to get published. Persistence certainly paid off for me. Much continued success with your novels (and I adore the cover of Love and Other Games). Yes, Lynn, the dreaded PRESENCE is a must! I'm also an introvert,but work hard at social networking. Thanks Rachel! I'm so glad I continued to pursue my dream! Thank you, Melinda. Excellent advice. Perseverance is the most important trait for a writer, or anyone following a dream. But so is being open to new options. When I first started seeking publication, I was really targeting one particular publisher, and while I decided to submit to other publishers instead, I learned a lot from reading so many books in that line. Enjoyed reading your tips and your writing journey, Melinda. I think our rejections are our battle scars, worn proudly to prove we've fought to get here! Thanks for sharing your writing journey, Melina. I can't wait to read it. As both an editor and author, I really loved tip #4. Especially this line: "...realize that your editor knows what he or she is doing. They’re the expert. Their goal is to sell your book, not torture you." That made me chuckle. I've felt tortured by some really great editors before, and I'm sure a couple of my own authors will say I'm a master of torture myself. lol. But in the end, I've always came out with a much better book. So, yes, listen to your editors!! It's easy to think our editors are out to get us, but really their end goal is the same as ours. Thanks for your comment, Kara. I framed my first rejection letter from Harlequin. ;) That's a huge thing - it says you put yourself out there and actually tried. Great blog. Thanks for sharing your thoughts.